A recently engaged woman is sent a box of stranger’s diaries and discovers her future is more sure than she thought. 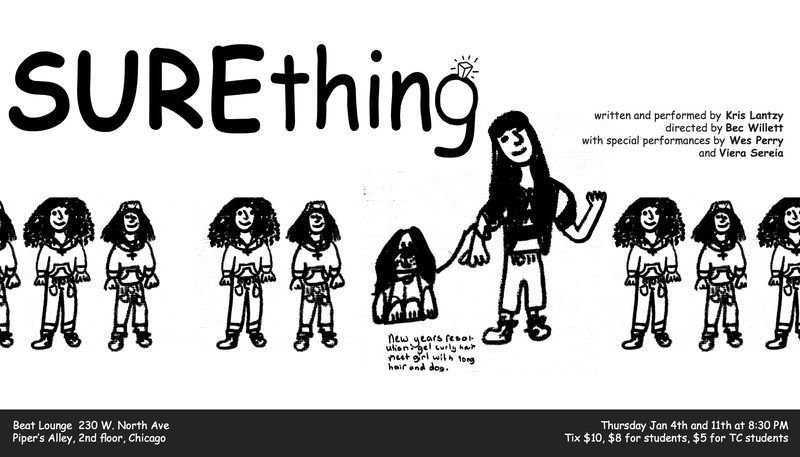 SUREthing is a lively little sketch show, tucked into a one-act play. Featuring music by Wes Perry and drag by Viera Sereia.